When I met and fell madly in love with Will at the age of 24, everything was perfect - except for one pesky, little thing. Alright, scratch that - it was a huge thing. Will was not a Christian. In fact, for all intents and purposes, he may as well have been an atheist. Although he had (somewhat begrudgingly) obliged in attending weekly church services with me, he just hadn't gotten on board with the whole God thing. I slowly began to accept that nudging feeling that my relationship with Will may actually be holding him back from a relationship with God. After nearly a year of dating (and a lot of prayer on my part), we reluctantly agreed to go our separate ways. It was the single hardest thing I had done at that point in my life. But, as is so often the case, God had other plans. After just a couple of months apart, my heart skipped a beat when I returned home from work to find a letter from Will tucked under the mat outside my front door. In it, he wrote that he had recently begun attending a church down the road from his apartment in Folsom - Lakeside Church. From the sound of it, God had been doing incredible things in his heart and his life through Lakeside and I couldn't wait to see it firsthand. 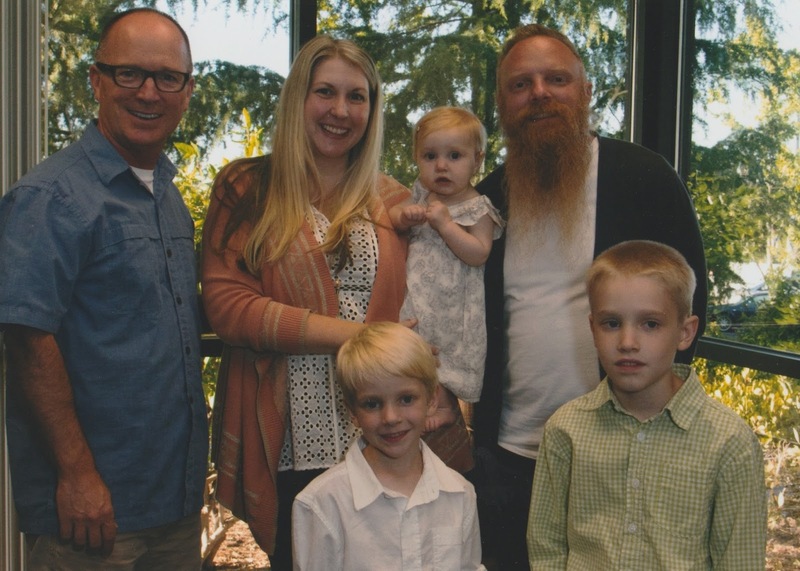 I cautiously began joining Will on Sunday mornings and it quickly became evident that he indeed had a sincere heart - not just to please me, but to please The Lord. We were married just eight short months later. 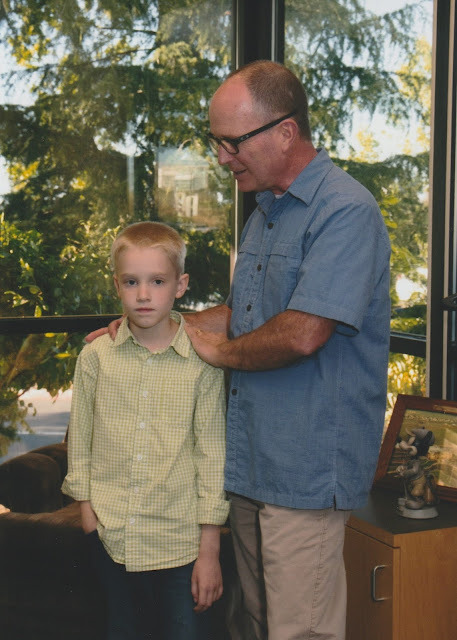 I credit so much of Will's growing love for Jesus to Pastor Brad Franklin, who nearly thirty years ago was obedient to a calling from God to begin a church in Folsom...a church that nearly two decades later would bring Will into a relationship with His Son...a church whose story would be integrally tied to the foundation of our future family. Pastor Brad is the kind of down to earth guy that Will refers to as a "man's man." He is a passionate Christ follower who speaks emphatically about God's word - even assuming his signature downhill skiing posture when particularly moved. Rather than proclaiming to have it all figured out from his position at the pulpit, he is on the journey alongside of us. He humbles himself regularly before his congregation and, in doing so, is extremely relatable as a believer, spouse, parent, and friend. I firmly believe that it is because of this degree of "realness" that Will ever returned to Lakeside after walking into that first service so many years ago. Over the last twelve years, Will and I have grown and been stretched in our faith at Lakeside in many ways. We've participated in Bible studies and grief groups, served in ministries ranging from the nursery to the tech booth, watched our kids form their own relationships with God through their incredible Kidsfest programs, and been provided countless opportunities to grow in our faith. 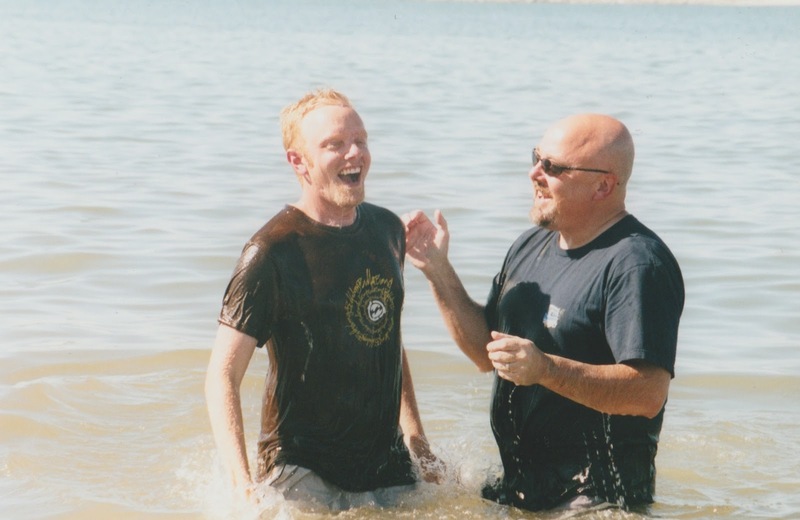 But, perhaps most importantly, I have been incredibly blessed to witness the heart transformation and physical baptism of my husband. 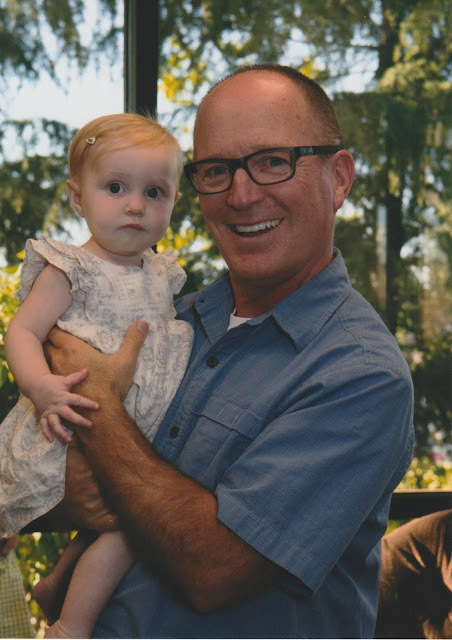 When our daughter, June was hospitalized last fall, I felt a strong and persistent tugging on my heart to have her dedicated in our church. 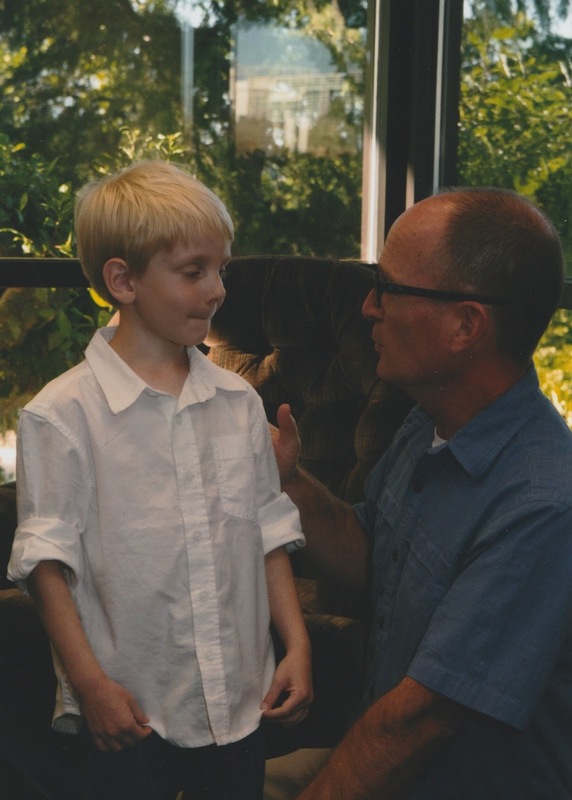 Will and I had not previously had the boys participate in baby dedications, so I emailed Pastor Brad, inquiring if he might be willing to perform a private family dedication for all of our children at once. He responded promptly and kindly that yes, he would be happy to do that for us. Two weeks later, in the quiet reverence of Pastor Brad's office, all of our children were dedicated to God. I cannot tell you what an emotionally stirring experience it was as their mother, watching our pastor bless and specifically pray over each of my babies, and knowing that their Heavenly Father loves them even more than I could ever imagine. And in that moment, I knew I had another pie to bake. 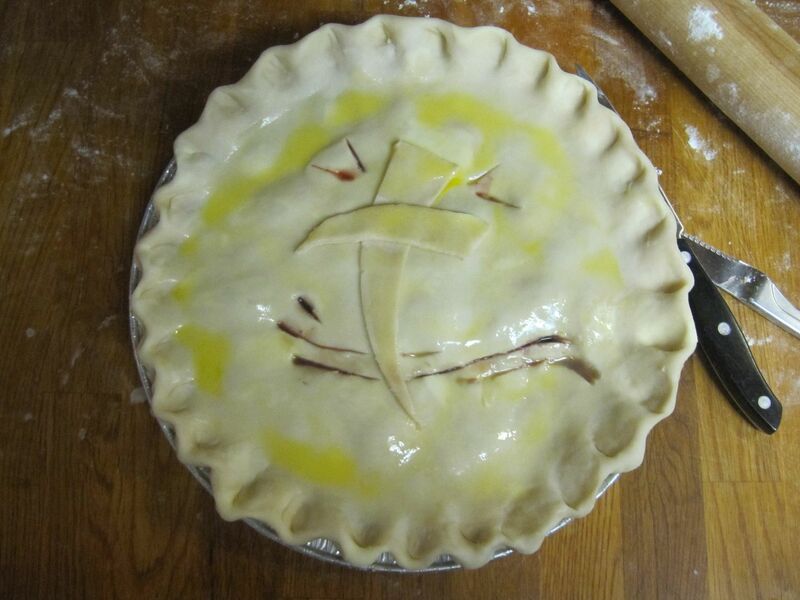 Obviously, a pastor needed a fruit of the spirit pie. But what fruit exactly constituted "fruit of the spirit"? That part seemed open to interpretation. So, with a little sleuthing work and the helpful advice of Pastor Brad's assistant, Amy, I settled on cherry. Pastor Brad has many Brad-isms, my favorite being "that's just kind of how that rolls out." And, well...pie usually begins with a little rolling out of its own. 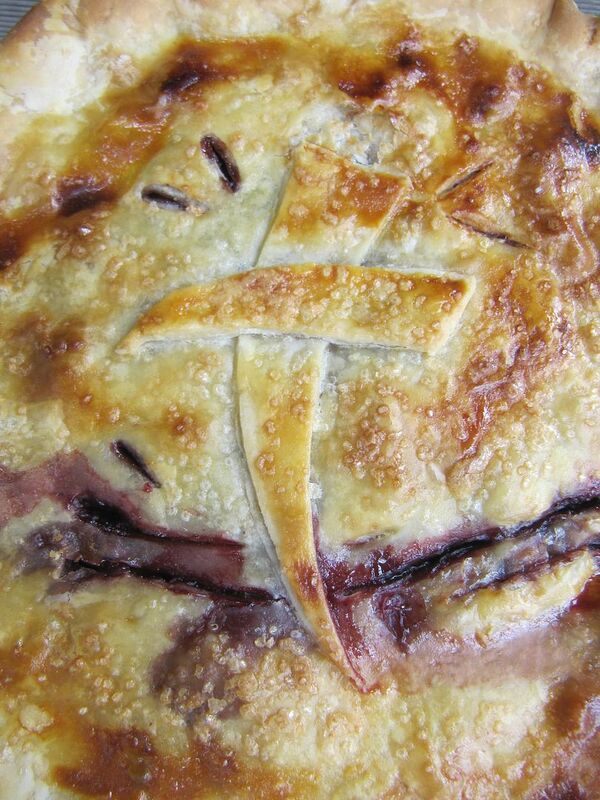 So, there you have it - Pastor Brad's "That's Just Kind of How That Rolls Out" Fruit of the Spirit Cherry Pie. 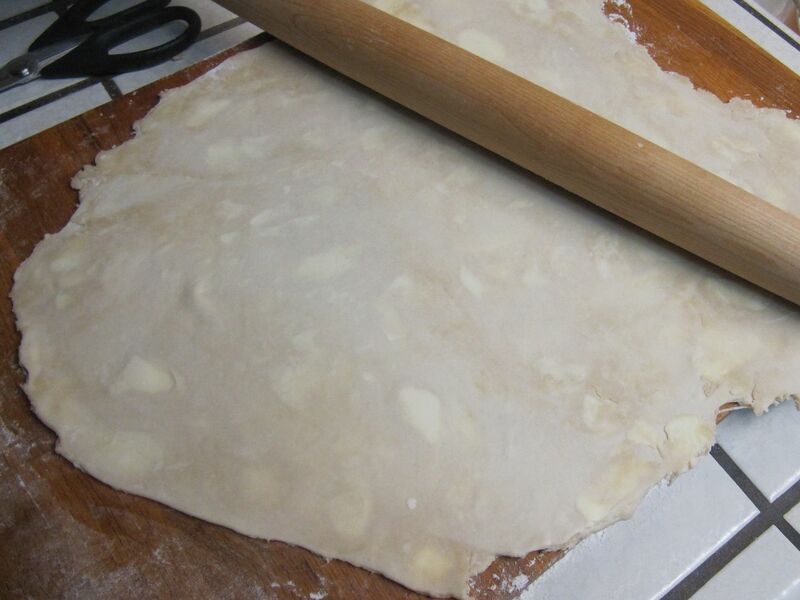 I began with my traditional crust recipe, raking flour, salt, butter, shortening, and ice cold water through my fingers until just combined. I then separated the dough into two disks (one each for the top and bottom crust) to chill before rolling them into thin, butter-laden sheets. For the filling, I added granulated sugar, salt, tapioca pearls, cornstarch, and almond and vanilla extracts to a heaping bowlful of pitted, sweet cherries. It was at this point that the boys and I may have snuck a few from the bowl - just for taste testing purposes, of course. With quality assurance completed, it was time to assemble the pie. 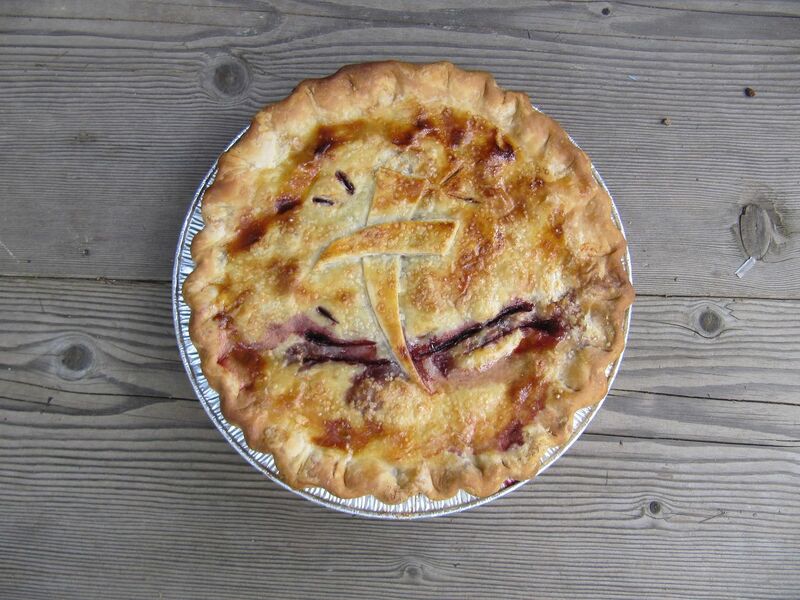 I lined the tin with the first sheet of dough, filled it nearly to the brim with the sugar-glazed cherries, and delicately tucked everything in beneath a fluted, egg-washed crust. To adorn the top, I attempted my own primitive replication of Lakeside Church's logo - a cross surrounded by rippling water "vents." Finally, into the oven until golden and bubbly - and voilà - Pastor Brad's "That's Just Kind of How That Rolls Out" Fruit of the Spirit Cherry Pie. Through Lakeside Church and more specifically, Pastor Brad, I have been beyond blessed to share this life with a spouse that puts God first, raise three beautiful babies to know how loved they are by Jesus, and be both encouraged and challenged in my faith week after week. There have been countless weekends over the last decade that the sermon has gripped tightly to my soul and heart and I know without a doubt that God has once again used Pastor Brad to speak truth into my life. For all of these things, I am eternally grateful...the kind of grateful that calls for pie. I loved reading your personal story, or at least a small part of your life that you chose to share with us. I totally agree with the "realness" in which Pastor Brad delivers himself and the word of God. I have been at Lakeside for over 11 years and realize that we all come to Jesus and the church at different points in our lives so we all cannot possibly know all of our stories. But, reading about you, your husband, kids, pies...makes me feel that much closer to you as a "Lakesider", even though we have never met. I hope we do meet somehow. God bless.